I am teaching my fifth grade students about volume. We are learning how to calculate the volume of solid objects, but we are also talking about the concept of volume. What is “volume”? The kids can explain it to you. It means how much space something takes up. How much air or water is displaced and moved out of the way to accommodate the presence of an object. It can also be used to think about how much material can go inside of something, right? The volume of the container determines how much juice can fit inside of it. This has all got me to thinking about my own personal volume. How much space in the universe do I occupy? How much air has been displaced by my very presence in this room? Sometimes it seems like a good use of the universe to have me in it, pushing aside air and water molecules so that I can live and breathe and move. Sometimes it doesn’t seem like such a good use of space. And I’ve been thinking about how much volume there is inside me. How much space there is to be filled with something. Most of the time, I feel pretty full. Full of thoughts and stories and memories and songs. Full of love and joy and sadness and righteous indignation. Curiosity and determination and humor. Most of the time there are a bunch of good ideas in there, filling all that space. Sometimes, though, I wonder where it all went. Sometimes it is clear that I have become hollow, with all that internal energy just drained right out. Then I am like an empty cube; still taking up space, but serving no useful purpose. At those times it seems as if I have too much volume. How will I ever fill it up again? ← OK. THAT was a great day. And now I am laughing out loud! THAT is what I was trying to say, without having the right terminology! You are not hollow. You are TIRED. What you need is a really GREAT vacation. Note: I only consider displacement when I get in the tub and it overflows. So funny; I was teaching the kids about displacement, and later that night I got into my hot tub. My “volume” was suddenly on my mind! 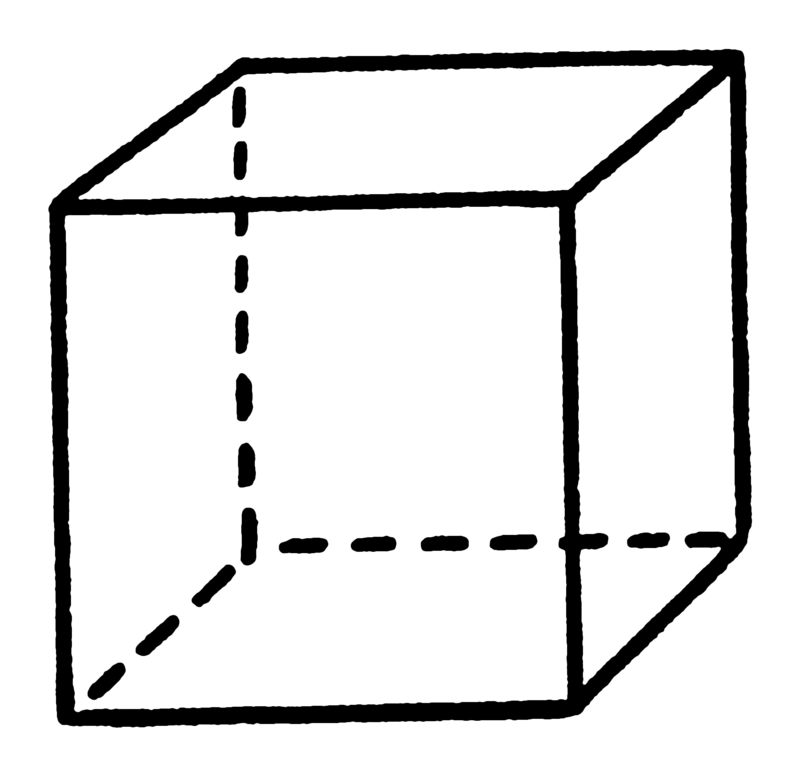 But the metaphor is all too real; I am surely feeling like a very hollow cube right now. Not sure just what I need, but a great vacation certainly sounds wonderful! You cannot go wrong with a great vacation. It may not cure everything that ails you, but it definitely will make you feel better. I know that hollow feeling and it is often a combination of tiredness, ennui and endless stress that never goes a way. Escape can really help, even if it’s just a few days with a good friend with whom you can laugh. Oh, camping is for those….young people! I suggest that the two of us meet at the best lush hotel we can find in any tropical location. Order up something delicious on crushed ice, and talk about how underappreciated we are. Can I please join you two? I won’t talk much I promise! Ah, but we plan to talk! come along, my darlin’!